The portrait of Leonardo da Vinci come back after 500 years in Italy and will be finally exhibited in order to be seen by the large public. 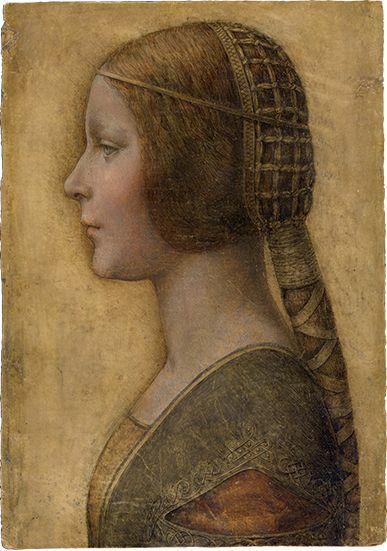 The portrait of the lady, which was removed from the volume of 1400 as known as Sforziada, was indicated as the most intriguing mystery of the History of Art. This book has travelled from the court of Sforza in Milan till Warsaw (where is nowadays conserved). Inside this book used to be a painting which was mysteriously removed and found again, destined to pass through the hands of several collectors; thanks to the support of several academics and qualified scholars, they began to formulate the hypothesis that the painting belongs to Leonardo’s production. Now, with the reinforced attribution to the Vinci’s genius works (called by Martin Kemp “La Bella Principessa” ) we have the possibility to see the preview of this portrait in Urbino first and in Milan then during the EXPO 2015 days.